"It says here that this is Star Wars part III. That's funny. I would have thought that there had been more of them than that." Major geek movies create an aura of religious fervor. "Star Wars" (*) is holy writ. Hating "Phantom Menace" is an object of faith. "Star Wars" is the greatest film ever made: "Empire Strikes Back" was a travesty. Or else "Star Wars" was a pointless B movie whose only merit was as a set up for "Episode V". Who do you love more, Mummy or Daddy? Only a Sith deals in absolutes. Of course "Star Wars" is not 'just another movie', or just another series of movies. "Revenge of the Sith" considered on its merits, is a spectacular, galaxy spanning space operetta, with battles, high powered galactic politics, mysticism and tragedy. Parsifal considered as a pulp serial written by Doc Smith. What's not to like? Thousands of starships zoom across the screen; spectacular planet-scapes created almost in passing, billion dollar special effects as give-away lines. Did you ever stand in W.H Smiths drooling at the rows of "sci-fi" paper backs with lurid covers and lamenting that you would never, ever be able to read them all? 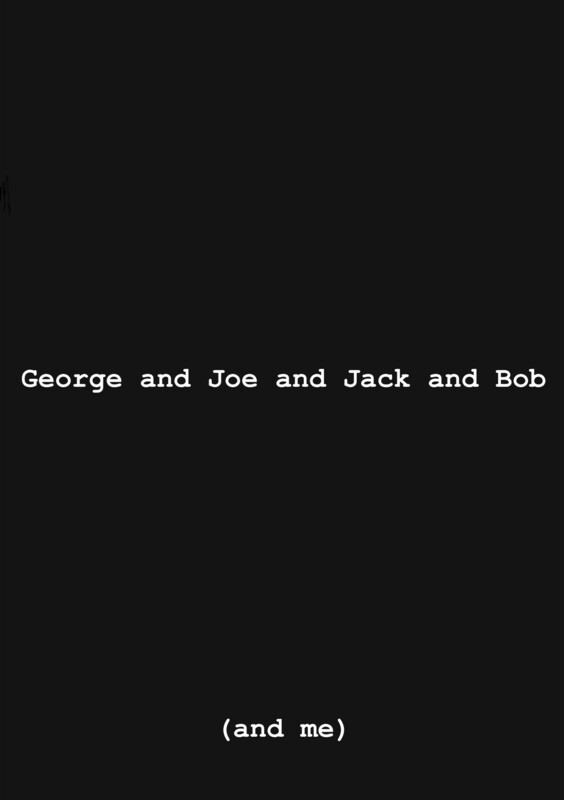 George made this film for you, and for you alone. But would I have actually bothered with the movie if I wasn't already committed to these characters – or, if you want to be cynical, to the Star Wars "brand"? I ask myself the same question at 7PM each Saturday. We've known Darth Vader for a long, long time. He is no longer just a movie character: he's a hieroglyph for "evil" (Or, if you prefer, for "Jungian Shadow" or "Freudian Father Figure"). Some comedians – John Cleese, Eric Morcambe, Tommy Cooper – could get a laugh just by walking onto the stage. There was nothing especially funny about their physical shape; but somehow, their presence reminded you of every episode of "Monty Python" and "Fawlty Towers". Darth Vader – his mask, the sound of his breathing, the Imperial March - triggers off a similar kind of Pavlovian response in a way that a big entrance by Just Some Villain never ever could. If "Revenge of the Sith" ends up delivering an emotional punch – and with qualifications, I think that it does – it's a punch that the film hasn't earned. It's paper money, backed up by a gold standard that hadn't been minted since "Empire Strikes Back." I have a smart answer to the question "What do you think of the 'Star Wars' prequels." It is this: "I like ALL of the "Star Wars" movies, apart from "Empire Strikes Back", and the ones came afterwards." It's a joke, of course. But it is true that when I saw "Empire Strikes Back" at the age of 15, my first reaction was disappointment. Whatever else this all-over-the-place without an ending movie where the good guys lose might have been; it wasn't the sequel to "Star Wars" for which I'd waited three years. In retrospect, "The Empire Strikes Back" was exactly the film which a 15 year old "Star Wars" fan needed to see. The very fact that we'd seen the first film when we were 12 and waited three years for the sequel guaranteed that what Lucas served up, however good, would be a disappointment. And that's what the film's all about: disillusionment, disapoinment, the demytholigisation of Luke Skywalker's world. Darth Vader tortures Han Solo and threatens to freeze Luke Skywalker; and then, in five words, destroys his world. Dad was evil. Your mentor was a liar. Deal with it, kid. Did Lucas "intend" this? Not at any conscious level. He is an accidental film maker. Before The Force got fully appropriated into Buddhism, it's ethic was "let go of your conscious self and act on instinct" I don't know if that's a good code for living, or whether it would really help you blow up battle stations, but it works well enough as a guide to creating works of art. (**) Put down the first thing which comes into your head, and it will probably be interesting. Write what your conscious mind tells you you ought to write, which is probably what you think Mummy will approve of, and it will almost certainly be trite. Forget what your teachers said -- sketch or scribble or jam. George did what he felt was right, of course, and ended up with the film we needed to see at the time we saw it. It was in the wrong place at the wrong time: naturally, it became a classic. That's why I found it so hard to hate "Phantom Menace": I'd already gone through my disillusionment with the saga, and decided that I could love "Empire Strikes Back" for being what it is, even if it wasn't exactly what I wanted it to be. "Phantom Menace" may not be a good prequel to "Star Wars", but it's a more than adequate sequel to "Return of the Jedi." A more serious answer to the question "What do you think of the "Star Wars" prequels?" would go as follows. George Lucas is producing what sci-fi writers used to call "a fix-up", a novel which has been assembled out of previously published short stories. He's like Niggle, taking his first, brilliant, rendering of a single leaf and physically pasting it into a vast, uncompletable painting of a tree, and then a forest. Lucas has taken the film which I loved and made it a single chapter in a science-mythical saga. The process of pasting the fairy tale into the epic drains the original of almost everything I loved about it. The innocent farm boy who rescued the princess turns out to be a second generation Messiah who has a role to play in the culmination of a conspiracy which goes back 1,000 years. I like the "Star Wars Saga" less than I like "Star Wars"; but I still think "the Saga" is a good and interesting thing. So,. "Revenge of the Sith". Secular critics hate it, almost on principle. The review in the Indy said that the film would only appeal to people who collected the figurines. (Since that has included about 70% of the male population under the age of 40 that's not a terribly damning criticism.) Geekdom is already splitting along denominational lines: I've heard "better than 'Episode IV' " and "worse than 'Phantom Menace'', two statements which are pretty absurd. A lot of us are discussing the meanings of lines, points of connection with the previous movies, possible sequels, and the extent to which it causes some "Extended Universe" novels to be relegated from the canon to the apocrypha. To "review" this movie therefore seems almost redundant. We'd all decided in advance what we were going to think about "Revenge of the Sith" and two and a half hours in a cinema are hardly going to change our mind. Maybe "Revenge of the Sith" will turn out to have been the film that "Star Wars" fans who are pushing 40 need to see. As the fellow said, it's too early to say..
(*) "Star Wars" is the title of a film which George Lucas made in 1977. "A New Hope" is an after-the-event sub-title, appropriate only for considering the movie in the context of the large work. (**) That is to say, for producing sketches and first drafts. If you learn to trust your feelings, write down what comes into your head and then polish it, improve it, and listen to criticisms, you may end up with "Sgt. Pepper". If you run away with the idea that you can publish your first drafts, then you are only ever going to produce the White album. But which order should I watch the films in? Start with The Lion, the Witch, and the Wardrobe, obviously. But I hadn't made up my mind. I was pretty young even when Jedi came out (10) though I saw them all in the theater; first run. Yet even as young as I was, the Tarzan yell in Jedi made me think that Lucas had lost his mind. By the time I slogged through Phantom Menace and Attack of the Clones, I was ready for a real stinker of a film. I was pleasently surprised. I felt Sith was a nice prequel to Empire, whatever else it might have been. Obiwan was finally Obiwan. Yes, the acting sucked. Samuel L. Windu was mediocre and almost pointless. Yoda was more Super Grover than Yoda, but that is also to be expected. The dialog sucked. The 'high ground' comment was almost nonsensical...and so on. Yet once Asimov had commited the travesty of Foundation's Edge...Foundation and Earth was okay. The travesty had already been done. Once Lucas made Empire, the rest of the films, story wise, were about par. Phantom Menace was just hard to sit through because film-wise it was so bad. Sith is pretty well made. Not too much camp. I hate to disagree with you Andrew, because I pretty much consider you a guru on story and that includes film, but I went in with low expectations and came out feeling okay about it. Now me, I had a completely different experience with the original trilogy. I was born just a little bit after Return of the Jedi came out. I saw them for the first time back to back. I cannot remember a time when I did not know Vader was Luke's father. Because of all this, I don't have Star Wars in my head as a separate thing. It's always been the Star Wars Trilogy (and Expanded Universe, mastering the minutiae of which was my primary avocation during my dateless high school years). The prequels came along in the middle of all this, and I absorbed them in the same way I absorbed everything else with the Star Wars logo on it: as another piece of involiable canonical history of this fictional universe. And in many ways the appeal of Star Wars for me is the universe, not the story. After a dozen or so sub-par novels (and the occasional good one) I say "well, @#$% Luke Skywalker." But Jedi Knights, Imperial Stormtroopers, blasters, X-Wings, and all the other baggage still make me a little weak in the knees. And there's my train of thought gone. I think the point I'm getting at is that my experience of the films is different, and that I like and dislike different things about the prequels, and for different reasons. But I liked Episode III, and I like it a lot, in no small part because it was a tolerably good morality play set in the universe I love. If there is a clear message here it is that Love of anything makes you weak, and prone to evil. (See the Mountain Goat's latest album with the song Love Love Love for a similar message.) The point of the morality play is something like He who loves his life will lose it. Or something akin to the Buddhist ideal of suverting self leading to nirvana. But there are some odd aspects as well. The Sith seek eternal life and this search is what causes them to do evil...but then the Jedi seek eternal life also and find it. In the end it's almost counter humanist. (here comes my gripe with Foundation's Edge again) The winners are the one's who have no passion. It's Anakin's love that drives him to evil. His walk to evil is even a nearly selfless drive. It is his love of life and passion for Padme that drives him to the Dark side, while the wooden Jedi are the cold guardians of Order. (I am reminded of the Vorlons in Babylon 5) the Jedi avoid love because it might make one do evil for the sake of love. It's almost like they don't want to live for fear of doing evil. Anyone who hates their life will keep it? Huh, and here I have another thought. It is Obiwan's love for his Master, Quigon Neeson, and for Anakin that blind him into training Anakin into Vader. It is love of Anakin that makes Obiwan help conceal his realtionship with Padme. Then again, it is Luke's love for his father, and Vader's love for Luke that wins out in the end.But I doubt you can marry the two stories like that. Lucas was probably not intending a united theme for all 6. I really have to wonder if the Jedi are the Good guys. I have often quiped that the 'balance' sought by the Jedi was a bad thing for them. The balance was tipped in their favor. How could balance be good? But maybe the balance was brought by Luke. Maybe it was a balance between Passion and Woodenness in the application of the force. The Jedi are the cold guardians of order, the Sith the employers of Passion and thus chaos. It's the Star Trek Episode where Kirk gets split in two by the transporter on the big screen. Luke finally balances Passion with Cold application of Order. Okay, I will stop now before I start a new religion or holy war. I am reminded of a comment made in response to Phantom Menace (by a well known SF author, whose name I cannot remember), that it is pretty objectionable to tell a kid bought up as a slave not to be angry about it. It appears that that the Star Wars trilogy has gone from "Trust your Feelings" (IV-VI) to don't trust your feelings (I-III). I don't know about you guys, but I thought the way Vador turned to the dark side was actually ridiculous. There's no tension in all of this, we already know from the beginning of Episode III that he has premonitions, and that he WILL accept the Sith solution in the end. And then the whole process of turning bad has no interest anymore. It was all but subtle. Had Lucas been a bit smart, he would have done something like in "Apocalyspe Now" - a quest by a third party to find Vador and to disclose details bit by bit along the way, until a final encounter. Focusing on ObiWan, Palpatine and Anakin could have been great, but it all seemed like a bad TV serie. With bad dialogue too. I'm glad Lucas has mentionned he will not make any other episodes. The original trilogy has already suffered too much from the prequels. I kept hoping that we would find out that his premonitions were being given to him by Emperor Vlad there. Even the fact that his vision of Padme dying was the result of his responce to the vision was not really handled well. The focus on Obiwan was a good idea. But now that I am wrapped up in my own thoughts and theories, it would have been so much cooler if he would have focused on the coldness of the Jedi Order. Show them as pathetic father figures to the galaxy and emphasise their lack of emotion. Ever read Feist? Think of the Dark Robes on Kelewan. Growing stale and comfortable. Stagnating and needing the passion of the Dark Side to balance them out. Let's see Anakin accept, knowing that he is daming his soul, the chaotic touch of the Dark Side with the intention of pulling the Jedi order out of its malaise, arogantly thinking that he can control it, and then losing control in the end. That would have been very cool. Then we could have explored the role of Obiwan. Obiwan is a witness...somewhat passionate himself. They could have almost been twins. Anakin going too far and Obiwan not far enough. That would have emphasized the competing father figure motif in the first three films. Will Luke take the way of Obiwan or Anakin; in the end choosing a medium; bringing balance to the force. 1) If the premonitions were given to him by the Emperor then the film is about Anakin being manipulated (a la Kosh and G'Kar). If they were genuine premonitions then it comes close to being true tragedy. I prefer the second, because I think it makes a splendid tragedy. 2) This is the only one of the six movies that I can remember the plot of. It's the only one that I have really been interested in the plot of. The other 5, to greater or lesser extents, have always been (very striking) set-pieces for me, with a hazy background of a few connections. Luke, Leia, Han were all without much in the way of personalities. Anakin and Obi Wan ar far more interesting. And I know that the rest of the world sees it the other way round but there you go. Just perverse I guess. 3) That was an astoundingly horrific film. Really horrific. Maybe we're not supposed to care about Anakin (after the y****ings incident) but it was really, very brutal. 4) The whole thing was quite clearly Yoda's fault. I wonder if George Lucas thought so? Re: "Trust your feelings" vs "Don't trust your feelings." I have a slightly different theory on the reasons for "trusting your feelings" being good in IV-VI and bad in I-III. My theory is simply this: The characters that trust their feelings are always the protagonists, because they're the ones you have to sympathise with. At the risk of sounding utterly trite, all stories are ultimately about the people, and most of them are about human feeling on some level. So the characters have to follow their feelings or the story becomes a bit pointless. Luke is a hero, so trusting his feelings is Good, because the original Trilogy was set up for a happy ending. Anakin is a tragic antihero, so for him, trusting his feelings is bad, because we know he has to turn evil. It's a similar thing with Love. If Anakin is ultimately turned to the Dark Side from love, this has more to with the fact that romantic love is one of three motivations that Hollywood characters are allowed to actually have, rather than being any cynical statement about the nature of relationships. As Andrew put it in one of his Episode II essays, Anakin is forbidden to love Amidala, because that is the sorts of things that Mythical Fathers forbid Mythical Sons to do. To consider the 'feelings' issue in a more sophisticated way, the message from the films might be "Listen to your feelings, but don't let them drive you". Although, cynically, I am not sure it has been thought through that carefully. Another way to look at it is to consider George Lucas himself - the IV-IV trilogy as the work of an impetuous young man wanting to shake up the system, and the I-III trilogy as the work of a more experienced and cagey older man who has learnt to be cautious. Interesting stuff. I suppose commenting as anonymous is considered bad form. Sorry, but I'm a bit lazy and dislike filling out information about myself on the internet. My name is Parker. There, that feels better. I am wondering if any of you could point my in the direction of further discussion of these films. I am looking for grown up content, so IMDB doesn't count. Interested in reading other opinions of themes and meanings and prehaps supplying a few of my own. On the subject of "trusting your feelings": I noticed that, in one short space of RotS, Anakin got "Search your feelings, you know it to be true" from both Kenobi and Sidious - but they clearly didn't mean the same thing. Sidious was playing on Anakin's emotions, telling Anakin to believe what made him comfortable; while Kenobi was talking about some deeper instinct that would lead a Jedi to the truth even if he didn't want to hear it.